The appalling state of Airports in Nigeria. robbers and kidnappers are known to prowl the route. You can’t just build an airport and forget about it, expecting it to self-repair itself when the need arises. 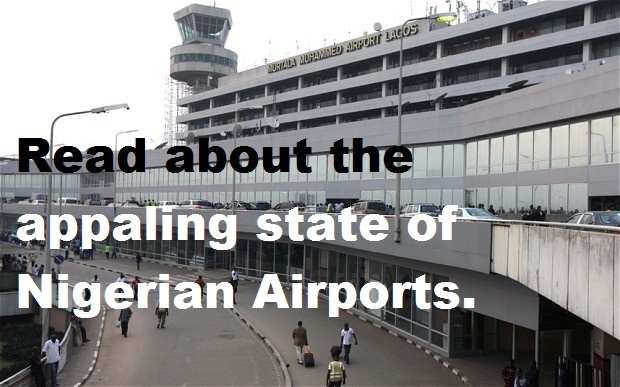 The FAAN and successive governments have shown a total disregard for the upkeep of the airports. Many airports have uncompleted and abandoned structures, such as Yakubu Gowon or Port Harcourt airports, due to lack of adequate funds to complete the projects( - which could have been allocated and subsequently pilfered ?) putting both planes and passengers at great risk. Pilots are forever complaining about having to negotiate pot-holes on runways and in December 2013 a Saudi Arabian cargo plane damaged its undercarriage landing on a runway in Abuja.